Home » Health » What Is Friedreich Ataxia? Friedreich ataxia is one of the degenerative neurological disorders affecting the nervous and cardiac systems. Friedreich ataxia is a genetic disease and is inherited through an autosomal chromosome with recessive genes. This disease is often associated with cardiomyopathy (heart muscle disorder) and diabetes . Friedreich ataxia was first identified by Nikolaus Friedreich in 1863, and the gene that caused it was discovered in 1996. Neurological degeneration due to Friedreich ataxia will cause the sufferer difficulty walking, loss of feeling and control over the hands and feet, as well as difficulty speaking. To date, Friedreich ataxia has not been treated. The available treatment is intended only to help the patient control the symptoms that appear. Friedreich ataxia is a progressive degenerative disease that can cause death to the sufferer. 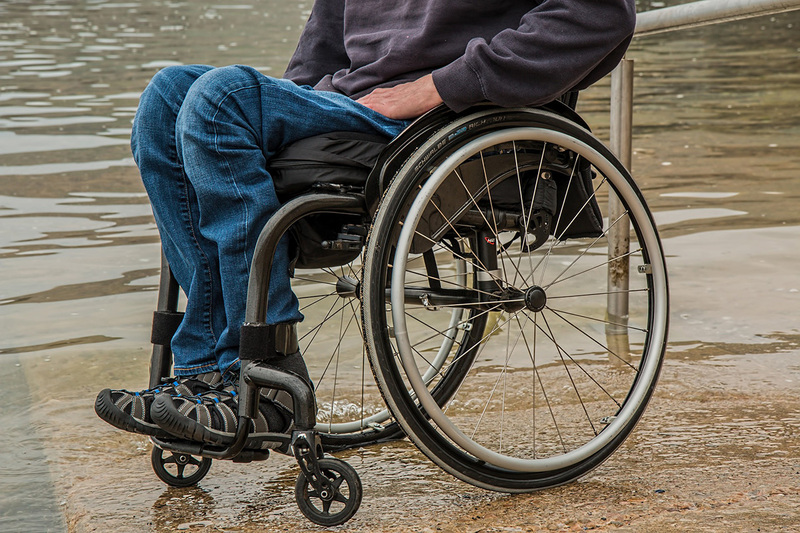 More than 95% of people with this disease should use a wheelchair at the age of 45 years. Deaths caused by Friedreich ataxia range from 35-50 years of age. There is an increase of arch in the soles of the feet (pescavus scoliosis) , or other deformatitas on the feet, such as clubfoot . Lack of coordination between limbs. Often people with Friedreich ataxia also suffer from heart problems, especially hypertrophic cardiomyopathy (thickening of heart muscle tissue). Other diseases that can occur in people with Friedreich ataxia are optic nerve atrophy, diabetes mellitus, peripheral cyanosis, and edema. The occurrence of the symptoms of Friedreich ataxia generally occurs at an early age, particularly in terms of patient instability when walking, standing or running. When Friedreich ataxia has developed at a later stage, it affects other limbs, especially the hands. Friedreich's growing ataxia in the hands causes tremor. In addition, this tremor can also appear on the muscles of the arms, body, and face. In patients with advanced athletic Friedreich, legs and feet will feel weak, causing difficult to walk. The weakness in the leg will continue to be paralyzed and the patient must use a wheelchair or just lie in bed. Weakening of limbs will also occur in the hands, although weakness in the hands often arise after the occurrence of paralysis in the legs. Once Friedreich ataxia in the patient enters the final stage, dysarthria (difficulty speaking) and dysphagia (difficulty swallowing) results from neurological disorders of the face. In addition, end-stage ataxia patients may also experience weakness in the facial muscles and oral muscles. Difficult coordination between talking, breathing, swallowing and laughter can cause sufferers to choke while talking. Generally, the average life expectancy of Friedreich ataxia patients is 40-50 years, but may vary depending on the severity of the condition. Paralysis and loss of walking ability generally occur 15 years after diagnosis. Arrhythmias and heart failure are the leading causes of death in people with Friedreich ataxia. Friedreich ataxia is a genetic disease caused by mutations in chromosome number 9, especially in genes that encode Frataxin proteins. Frataxin is a protein that is thought to be involved in regulating iron levels in mitochondria. Mutations in the Frataxin gene can cause a disruption of iron-iron levels in the cells, resulting in impaired mitochondrial function and cellular damage, especially nerve cells and heart cells. Sensory nerve cells and tissues are often the earliest and most severe damage to people with Friedreich ataxia. This sensory nerve damage also includes a disruption of the proprioceptive system, a system that processes information from the muscles and joints of the body so that one understands where the body lies and the body motion. Friedreich ataxia is a progressive disease that can cause death to the sufferer. A person with a family with a history of Friedreich ataxia has a higher risk of developing the disease. If in a family there is only one parent affected by Friedreich ataxia, then the offspring can carry the gene of this disease, but do not experience the symptoms. Ability to stand with eyes open. The test can be done by standing on one leg. If you can not, can use both feet. The ability to stretch the legs with the eyes open, then measured the width between the legs. The ability to stabilize the body in case of shock. Speech, including eloquence and clarity in speaking. Nerve conduction examination . This test serves to measure the speed of excitatory nerve through the nerve vessels. This test can provide information if there is damage to the neural network. During the test, the skin in certain parts will be attached to a pair of electrodes. One electrode serves as a stimulus, while the other electrode serves as a catcher of nerve stimulation. The speed of conduction or delivery of stimuli to the skin is then measured and analyzed. In patients with Friedreich ataxia, the results of a study of motor neuronal conduction provide motor nerve stimulation speeds above 40 m / s. Whereas in sensory nerve conduction, there is generally no recorded speed. Electrocardiography (EKG) . This examination serves to analyze the condition of nerve stimulation in the heart. EKG results in patients with Friedreich ataxia, usually indicates the presence of ventricular hypertrophy and T wave inversion. Echocardiography . This test aims to get a picture of the heart condition by using sound waves. The results of echocardiographic analysis in Friedreich ataxia patients may indicate the presence of ventricular hypertrophy, septal hypertrophy, and hypertrophic cardiomyopathy. MRI.Â The MRI scan in Friedreich ataxia sufferers is focused on the brain and spine. In patients with Friedreich ataxia, can be found atrophy, especially on the nerves of the spine of the neck. Genetic testing in children with family at risk and history of Friedreich ataxia can be done from before birth. In addition, genetic testing of potential married couples, especially with a history of Friedrich's ataxia in the family, can also be done. The goal is to predict the likelihood of Friedreich ataxia appearing in the next offspring of the couple. Keep in mind that Friedreich ataxia can not be cured. Therefore, the treatment is intended to overcome the symptoms that arise. Friedreich ataxia will get worse as time passes. After 15-20 years, various symptoms of Friedreich ataxia will pop up in the patient and thus have to rely on a wheelchair to move. Often patients also experience heart disease that can be the cause of death. Peroxisome proliferator activated receptor gamma (PPAR-Î³) agonist . Treatment of heart failure and arrhythmias. If necessary, a heart transplant in Friedreich ataxia criteria may be necessary. Insulin to help overcome diabetes associated with Friedreich ataxia. Counseling and antidepressants to overcome depression caused by Friedreich ataxia. To overcome pescavus scoliosis in the feet of patients with Friedreich ataxia, surgery can be performed. In addition to surgery, deformity in the foot can also be handled using botoks. In patients with ataxia who experience coldness in the feet or peripheral cyanosis, can be given a method of passive exercise to overcome these conditions. Symptoms of sphincter dysfunction (muscle valves that regulate body channels) should be monitored and treated by oxybutinin . In patients who experience sexual dysfunction, can be treated using the treatment of sexual dysfunction as usual. If dysphagia appears in the patient, modification can be made and the type of food, or performed gastrostomi. 0 Response to "What Is Friedreich Ataxia?"